Restorative dentistry is all about renewing your smile and giving you the look that you want, as well as improving your bite to make it easier for you to eat the things you like. This type of dentistry encompasses many possible types of procedures, including dental implants, crowns, bridges, dentures, and more. 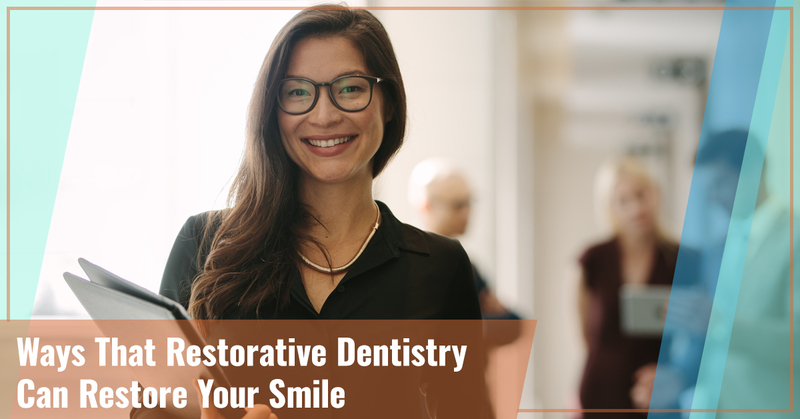 Find out what restorative dentistry can do for your teeth, and how it can restore your smile for a happier, more confident you! Are there any noticeable gaps in your mouth? Are you missing any teeth? Are you finding it a challenge to eat the foods you once enjoyed? If you answered yes to any of these questions, you may be a good candidate for a restorative dentistry procedure. At our dental office in Longmont, CO, we offer a number of restoration methods to address the issues caused by the presence of gaps in your teeth. Whether you were born with these gaps, or the gaps were created because you’ve lost teeth to injury or decay, restorative dental care treatments can help you smile more. Depending on how large these gaps are, where they are, the condition of the neighboring teeth, and other factors, your dentist will evaluate your mouth and determine the best course of action. A bridge can be made and anchored to nearby healthy teeth; in the middle of this bridge, your dental team will attach crowns, which will serve to replace the teeth you’re missing. These crowns aren’t attached to your gums; they are attached to the dental bridge, which is anchored to your mouth by your natural teeth. Another way to fill in gaps is through dental implants. Wherever there is a missing tooth, an implant can be inserted. This involves first placing a titanium piece into your gums, and after a period of healing, adding a crown to complete the procedure and your smile. Your dentist may recommend full or partial dentures as a restorative dentistry solution to your missing teeth. Depending on the condition of your natural teeth, it’s possible that you will keep them in place while using partial dentures to fill in any missing-teeth gaps, or perhaps some of your unhealthy teeth may have to be extracted. Your new dentures will then replace your natural teeth, filling in the gaps. If you have any questions about the differences between dental bridges, crowns, implants, and dentures, be sure to contact our dental practice. Our staff will be happy to explain the differences and set up a consultation, should you need one. Another reason to have restorative dentistry done is to eliminate any pain you may currently be feeling. Teeth that are decayed down to the roots can be very painful. You may require a root canal procedure, for example, to eliminate the pain you’re feeling. Following this procedure, you’ll likely be fitted with a dental crown to complete your look. We find that most patients smile more when we’ve addressed and eliminated the source of their dental pain! Everyone develops differently, and how your teeth look can be the result of a combination of your genetics, your environment, and your personal habits. Even if you’re brushing and flossing and doing everything right, your teeth may be crooked, or your bite may be misaligned. In some cases, braces may be the solution to an improved bite; in others, certain restorative dentistry procedures can fit the bill. For example, you may have teeth that do not meet properly in the back (in your molar area) because of widely differing tooth placements and heights. In these cases, your dentist may need to smooth down some of your teeth and then add overlays (similar to a filling) or crowns to build the tooth back up correctly. This is just one example of what your dentist can do to improve your bite. Schedule an appointment to see what your dentist recommends for you. Many of our patients who have a number of missing teeth opt for removable dentures because of the convenience of removing and replacing them on a daily basis. This can make it easier to clean your teeth, and can give you the smile that you want when you’re left with very few healthy natural teeth. Other patients opt for dental implants because they’re considered a successful, long-term solution to missing or unhealthy teeth. Like dentures, dental implants can come in full or partial options. If only one or two teeth need to be extracted, crowns and bridges typically are the logical, optimum solution. Whatever shape your mouth is currently in, know that great restorative dentistry options exist to give you the natural-looking smile and the functional bite you dream of. If you have gaps in your mouth, you suffer from constant pain from decayed or broken teeth, or you’re unhappy with the look of your smile because of chipped and cracked teeth, we invite you to make an appointment with our dental office in Longmont. We are dedicated to helping our patients regain full use of their mouths and restore their confidence! Would you like your smile improved? Contact Smile Designers in Longmont, Colorado. We’re here to meet you where you are in your dental health and help restore your teeth and smile to the best they can be. Whether you need a restorative dentistry procedure done, such as implant restorations or crowns and bridges, or you simply would like to make an appointment for a dental cleaning or teeth whitening, we can help through gentle dentistry and the latest state-of-the-art dental care advances. If you’re experiencing any type of pain, don’t delay; make your appointment today, and we’ll work diligently to address and eliminate the source of your dental pain. 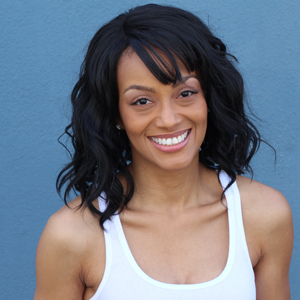 Give Smile Designers a call for your dental health!